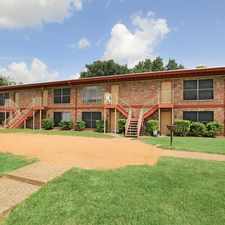 The rent at Smart Living at Garden Oaks Apartments ranges from $975 for a one bedroom to a $1,650 three bedroom. Apartments in this building are about 2% more expensive than the Independence Heights average. This is a pet-friendly apartment. This apartment is in the Independence Heights neighborhood in Houston. Nearby parks include Kerr Park, Panther Stadium and Clark Park. Smart Living at Garden Oaks Apartments has a Walk Score of 60 out of 100. This location is Somewhat Walkable so some errands can be accomplished on foot. Theres no need to make sacrifices when choosing a new place to call home. Located conveniently near the Northside of Houston, Smart Living at Garden Oaks has everything youve been looking for, all in one thoughtfully designed apartment home.\n\nOur community is committed to being energy efficient, with features found throughout our property and within your apartment to help us all reduce our carbon footprints. Pets are always welcome at Smart Living properties! Your furry family member will enjoy living here as much as you will, with large green space areas and pet stations located all around the community.\n\nOur one, two and three-bedroom floor plans are open and spacious, featuring extra high ceilings and layouts designed with your comfort and needs in mind. 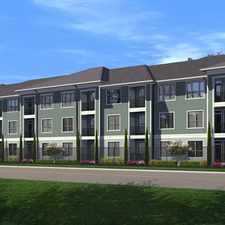 Each apartment home features modern finishes such as granite countertops, wood-style and ceramic flooring, wide vinyl blind window coverings, luxurious garden-style bathtubs, and designer paint colors. Updated appliances include a gas range, full sized in-unit washer and dryer, and energy efficient tankless gas water heaters.\n\nSmart Living truly is a way of life. Along with all of the modern comforts offered at home, the neighborhood has much to offer our residents. Our community is surrounded by local retail shopping, dining establishments, and great schools. A short commute down I-45 will have you downtown in minutes. Explore how far you can travel by car, bus, bike and foot from Smart Living at Garden Oaks Apartments. Smart Living at Garden Oaks Apartments has some transit which means a few nearby public transportation options. 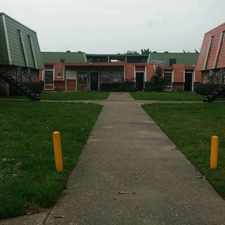 View all Independence Heights apartments on a map. Smart Living at Garden Oaks Apartments is in the Independence Heights neighborhood. Independence Heights is the 37th most walkable neighborhood in Houston with a neighborhood Walk Score of 51.